There has been so many great shows on this week that I only got a chance to see Dan Willis’s last night but I am glad I did. 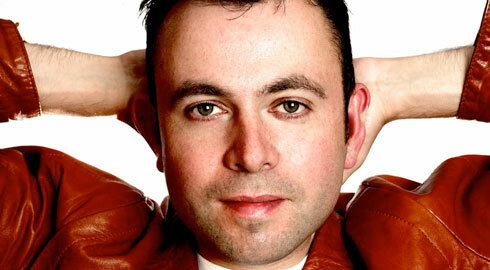 His hour show is based around his favourite film, yes you guessed it the 1986 classic Ferris Bueller’s Day Off. This ex IT geek from the UK tells us of his life changing decision to quit his stable and comfortable job in IT to become a stand-up comedian. He uses Ferris Bueller as his mentor or spiritual leader as he asks ‘What would Ferris do’ with any of his life’s decisions. This seems to have worked for him so far and who didn’t admire Ferris, Cameron and Sloane and their youthful abandon. Dan keeps his audience attention through a great paced show of anecdotal stories which he can relate back to the film, showing us some well-known clips or quotes. He is comfortable, with a laid back likeability on stage which makes his witty material flow smoothly around the structure of the show. He also dissects the film slightly, analysing the characters journey and what we can learn from them. He is charming and amusing with some great autobiographical stories. Dan goes back to his school days of being bullied right up to his avoidance of marriage during adulthood. All the while he cleverly involves and relates back to this iconic coming of age film. I loved the idea of this show and it works really well. The fact that he has used such a classic and well loved film helps, as most of us want to be the cool kid who could pull of a ‘day off’ or indeed do a’ Dan’ and change your whole life! 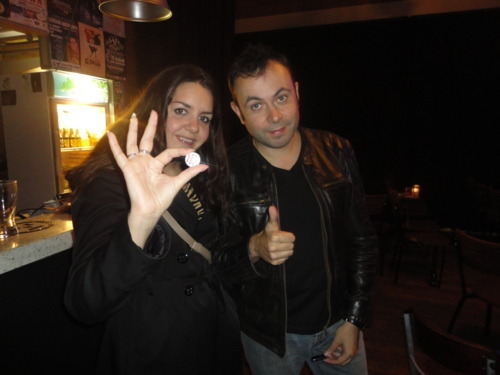 Here I am with my ‘What would Ferris do?’ badge with Dan Willis after the show. You have one more chance to see the show in Auckland, so don’t miss your chance to see how Ferris can be part of your life through an hour of laughs and funny reflections. Warning you may leave with a strong desire to watch the film again too! ← The Griddy’s Comedy Award 2012!